Seventy-five years ago this month, officials in Pasadena turned a valve and for the first time water from Metropolitan’s grand Colorado River Aqueduct flowed to a thirsty Southern California, keeping a promise made to voters in the depth of the Great Depression and capping a years-long construction effort considered a modern engineering marvel. The milestone in Metropolitan’s history was commemorated recently with a presentation by premier California historian Kevin Starr in the Union Station concourse attended by more than 500 people. This was followed by festivities surrounding the opening of a new and comprehensive aqueduct exhibit at Metropolitan’s headquarters building lobby called Turning on the Tap. View highlights of the event. A new colorful and comprehensive report highlights some of Metropolitan’s many environmental accomplishments and investments to protect open spaces for native species and their habitat, manage the nation’s largest water conservation program, address climate change risks, preserve cultural treasures and promote sustainable business practices. Learn more about Metropolitan’s proud environmental legacy. The focus of the baseball world will be in San Diego for the All-Star game and related festivities in mid-July. 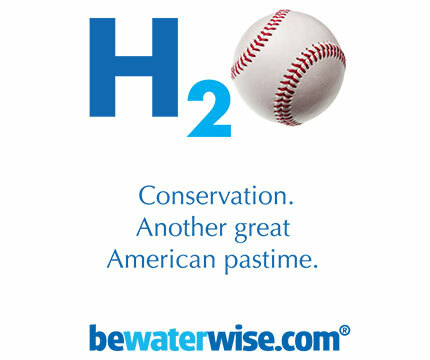 The All-Star Game program will include an advertisement from Metropolitan urging people to save water with the message "Conservation. Another Great American Pastime." The same ad also will run in the Anaheim Angels official yearbook. Watch H2oTalk as General Manager Jeffrey Kightlinger talks about the State Water Project flowing into Diamond Valley Lake and the importance of the California WaterFix. 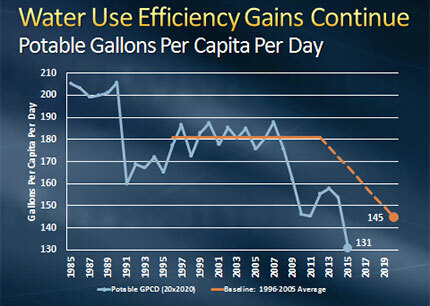 Southern California is doing well with water conservation as water levels are below targets set for the year 2020. That's due in part to the significant and permanent water reductions residents have made in recent years thanks to Metropolitan’s investments in long term conservation. But that doesn’t mean the need to conserve is over. It means we must maintain the focus on local conservation efforts and continued water use efficiency. 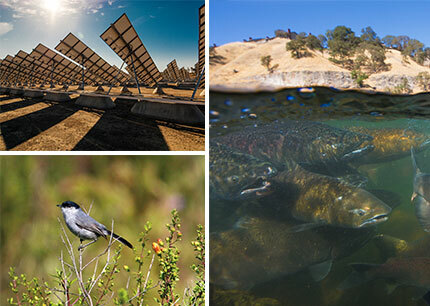 Read General Manager Kightlinger’s blog H2outlook: Conservation – How are we doing? Metropolitan released results of an analysis demonstrating it has sufficient water supplies to meet the demand of its member agencies over the next three years, thanks in large part to successful water conservation by Southland residents. Read the press release. Metropolitan and the five-time Major League Soccer Cup champion will work together beginning July 1 to encourage fans and residents all over Southern California to promote water conservation efforts as part of Metropolitan’s new summer advertising campaign, H2♥. Read the press release. 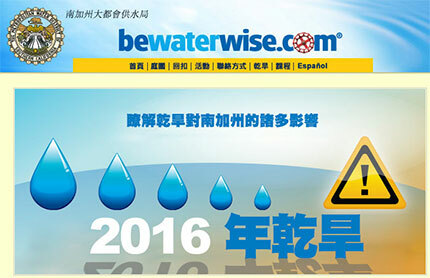 In an effort to reach a broader audience, Metropolitan's conservation website will now be available in Chinese. The site is currently also translated in Spanish.